Condition You’re viewing this Pre-owned Authentic Chanel Black Logo Caviar Wallet. This wallet has been previously used and shows visible signs of wear. The black caviar exterior shows visible stains, and scuff marks which you can view all markings in the pictures listed. The black caviar leather shows areas of faded texture. 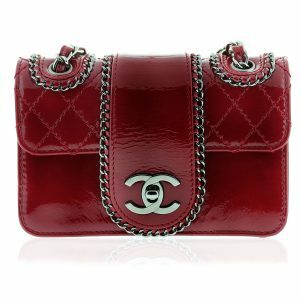 The front of the wallet shows the Chanel “CC” logo which is also a coin pouch. The front flap shows visible scuff marks along the edges, where the leather is worn. The interior pouch shows black satin lining which has one small white stain within. The back flap of the coin pouch shows visible scratches on the soft leather and tiny white stains. On the back of the wallet where you open the snap, will show visible stains as well. When you unsnap the wallet and look to the interior you will see 8 card holder slots and one large bill compartment. The card holder slots show visible stretch, and a tear on one of the card holders is visible in the picture listed. White stains can also be seen on the black leather. Within the bill compartment, you will notice a visible tear of the satin lining, white stains, and the date code which is visibly worn from use. 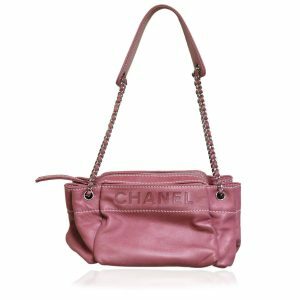 This Chanel wallet will need a little TLC but you can’t beat this price! This compact bifold wallet measures only 4.5 inches by 4inches and 0.75 inches in width. Guaranteed 100% authentic. Buy this pre-owned Authentic Chanel Black Logo Caviar Wallet now or make us your best offer.